Although 174 miles and a state line technically separate them, many people lump Portland, Oregon, and Seattle, Washington, together as Northwestern cities with similar traits and qualities. Many people who are drawn to one are also drawn to the other. However, while both cities have that unique Pacific Northwest vibe going on, they are headed in directions in terms of their economic, cultural and social development. Let’s take a closer look at how, and how people considering moving to one of these cities can decide between the two. Demographically, both cities are similar. With a population of about 725,000, Seattle has a 10 percent edge over Portland’s population of around 647,000. The average age, ethnic origins and other census statistics for these two cities don’t present any major differences either. However, while both cities have suburbs and are close to other major cities, Seattle has a large metropolitan area thanks to nearby cities such as Bellevue and Tacoma. By contrast, Portland feels much more suburban around its edges. Both cities enjoy mostly moderate summer and winter temperatures. However, Seattle has better air quality and fewer toxic clean-up sites, while Portland enjoys better water quality. Seattle and Portland both have a lot to offer in terms of natural attractions, museums and other places to go. The downtown shopping scenes in both cities have plenty of local color, including Powell’s Books in Portland, and Elliott Bay Book Company in Seattle. Unsurprisingly, you can get great coffee in both cities, though Seattle is better known for it, and the beer, bar and restaurant scenes are vibrant and unique in both cities. Portland’s Pioneer Courthouse Square is a great place to catch performances by Tibetan and Persian artists, for example, or even learn how to make your own terrarium. Seattle’s Pioneer Square bills itself as the city’s original neighborhood and is the starting point for many city tours, as well as the location of many festivals and concerts. Although both cities are near the water, Seattle is located on Puget Sound’s Elliott Bay, and also touches Lake Union, Lake Washington and Green Lake. This gives locals and tourists an impressive array of water-related opportunities, from whale-watching cruises to leisurely afternoons on the nearest lake. In Portland, the Willamette River and Columbia River provide scenic views and a chance to live on or near the water. For hikers and nature enthusiasts, Mt. Rainier, visible on clear days, is just 54 miles away outside Seattle. Meanwhile, Mt. Hood, 50 miles from Portland, is a great place to camp and enjoy the area’s woodlands. Mt. Rainier towers at 14,411 feet, rising above Mt. Hood’s 11,249 feet. However, Mt. Hood has many more ski resorts. Seattle and Portland both serve as the hub for major companies and corporations. For instance, Seattle is home to Boeing, Amazon and Microsoft. Meanwhile, Portland is Nike’s hometown and welcomes start-ups and indie businesses, which have created a dynamic vibe in the city’s downtown area. While both cities are growing, the concentration of higher-paying tech companies in Seattle — which recently became a major Amazon location — is reflected in the higher household median income of nearly $100,000 compared to Portland’s more modest $69,000. Both cities are attractive to millennials in tech, since many neighborhoods are walkable and have great public transportation systems. In fact, up to 45 percent of Seattle’s workers get to work by mass transit, biking or walking, or work from home. In Portland, that number is closer to 34 percent, but that is still more than twice the U.S. average of 15% (85 percent of Americans drive alone or carpool to work). This lifestyle tends to attract many younger workers to both cities. The cost of utilities and healthcare are relatively inexpensive in both cities, while transportation costs are among the highest in the nation. However, it’s the housing costs that drive Seattle’s high overall cost of living. The median home price in Portland is about $440,000 compared to $804,000 ins Seattle, with a greater availability of homes in Portland. Many predict that Seattle’s overall cost of living will increase dramatically as the area continues to attract new companies. Both cities have great qualities that continue to attract new residents and corporations. However, the choice between these two cities comes down to the type of lifestyle you’re looking for. Neither of these cities is very formal, but Portland, famously proud to be “weird”, has a more laid-back vibe. Many online reviews state that Portland feels like the friendlier city of the two. Those who would rather be in the center of two other major cities would pick Seattle over Portland. Vancouver is just a three-hour drive away to the north, in British Columbia, Canada, and has the added glamor of being in another country; to the south, Portland’s laid-back vibe is another three-hour drive. Seattle has been associated with more of an East Coast pace, so transplants from large cities looking for a similar lifestyle may be happier here. For up-and-coming millennials who prefer a professional environment, Seattle’s role as a major port and tech hub may be appealing. Although, predictions are that Generation Z, just now finishing high school and college, may prefer informal business styles. Portland has a more quirky, small-town feel, which natives and transplants to the city seem to enjoy, and which may appeal to this demographic more than others. Nearly 62 percent of Seattle residents have a 4-year degree compared to 48 percent in Portland and 30 percent in the nation as a whole. Seattle also outperforms Portland in K-12 retention, test scores and other factors. 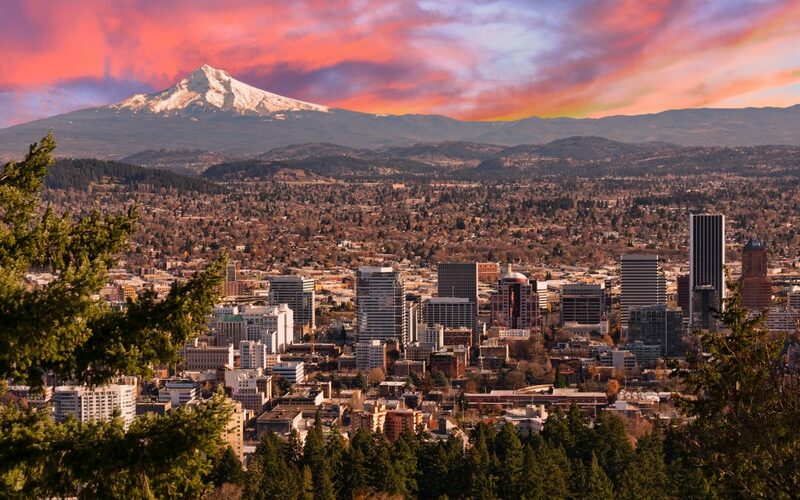 On the other hand, Portland is known as a mecca for alternative lifestyles, so vegans, families who prefer organic produce or want to grow their own vegetable gardens might find kindred spirits in this large city with a hometown feel. Portland has a more ingrained foodie culture, down-to-earth residents with a wide age spread, quality produce to feed its demanding consumers and easy commuting — if you are so inclined, you can bike everywhere and Portland has a reputedly more reliable public transit system. Long-time residents stay involved in the community, which is viewed as more accepting and gracious by visitors and residents alike. If you want access to modern metropolitan amenities and value a career-driven, sophisticated culture, Seattle might be the place to call home, with its greater diversity, burgeoning job market, and plenty of options for happy hours and weekend activities, especially for the city’s up and coming younger crowd. With its influx of transplants from all over the country, it may offer a wider social commentary than the somewhat insulated culture of Portland. Ultimately, residents who’ve lived in both cities tend to agree that the choice of living in either city comes down to an individual definition of good living. Finding a home should be a pleasurable experience: here you are, ready to move into your dream home or apartment, in a neighborhood or city you like. But there’s just one problem: the rent. Depending on where you want to live, the amenities you’re looking for, and how much you can afford, rent can be extraordinarily high. Here’s what $2,000 in rent can get you in 8 different U.S. cities. Everything you need may be just outside your door, and this New York neighborhood is known for being one of the most posh areas in the five boroughs. The price may reflect the fact that you’ll likely be just steps away from some of the world’s most prized museums or even Central Park, but you may be disappointed by the size of the apartment. You’ll get no Carrie Bradshaw-esque abode for this price. Instead, expect a small studio just big enough to fit the essentials. But if you live in this neighborhood, you’re perhaps more likely to spend most of your time enjoying everything Manhattan has to offer. Denver’s real estate scene offers a little more than New York’s, thankfully for those who live in, or are looking to move to Colorado’s capital. Luxury buildings are becoming more and more common outside the city’s downtown area without being too removed from it. Not only is Union Station North not far from the downtown area, but it’s also close to the River North Art District, an up-and-coming neighborhood known for its gritty roots, punk-rock industrial vibe, art galleries, and breweries. Central Virginia may not be the area of choice for those chasing the big city lifestyle, but Richmond may be busy enough for some to make it home. Those people may be lucky enough to find the home of their dreams: $2,000 in rent may get them a 4 bedroom home! The historic neighborhood of Monroe Ward is located between VCU (Virginia Commonwealth University) and Downtown Richmond. It’s quite popular with the students, so residents may enjoy the youthful vibe along with a rich music and art scene. 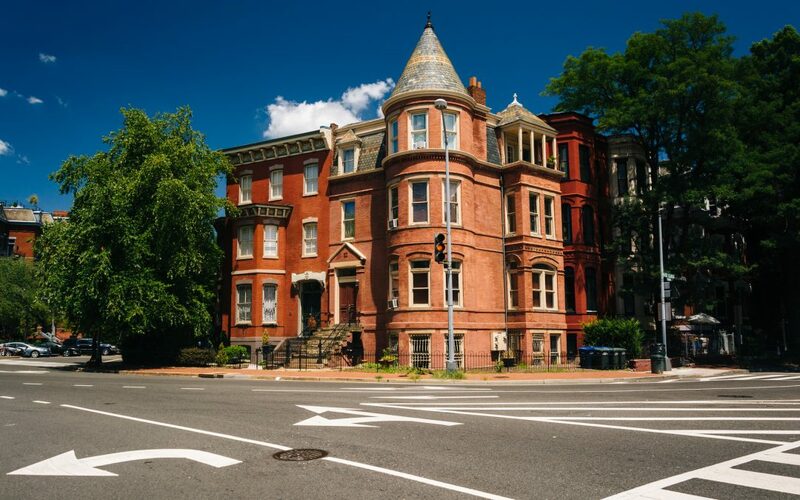 The nation’s capital may not be as expensive as the Big Apple, but this residential neighborhood may hold a few gems when it comes down to housing. Close to Dupont Circle, George Washington University, and Downtown D.C., this area is popular with young professionals and has a large LGTBQ population, thanks to gentrification that transformed the neighborhood in the 2000’s. Of course, if you plan on living in Washington D.C., you’ll have no shortage of things to do, and living in such a historic neighborhood may only add to your experience. San Francisco, a capital for artists, may be quite pricey when it comes down to housing, but if you’re willing to look at neighborhoods outside the downtown area, you may be in luck. Although Tenderloin may be notorious for its crime rate, its proximity to the Union Square shopping district is making it an increasingly desirable place to live. $2,000 may still get you a decently sized studio, if you’re willing to live outside the center of town. This is a real steal! You may be able to rent a 1-bedroom apartment for just under $2,000 not only in Downtown Miami, but located right off the water and beaches! If you’re a sun and surf lover, and in the market for a new home, you may want to consider living here if the price suits your budget. With ocean views, luxury amenities, and close proximity to shopping and entertainment, who wouldn’t want to live here? Downtown Salt Lake City is on the up-and-up: it’s generally considered to be a hip and trendy neighborhood filled with art and culture and many new experiences in the hospitality industry. For just $2,000 in rent, you can be in close proximity of all of that. Although living in Utah may not be for everyone, it may appeal to those looking to spend a decent amount of time skiing in their down time. Like in Richmond, you may be able to snag a good-sized house for relatively not a lot of cash. West Plaza is a little more low-key than the Downtown area, and is mostly comprised of housing and some small businesses like antique shops. But the neighborhood’s quieter nature may be one of its main draws. 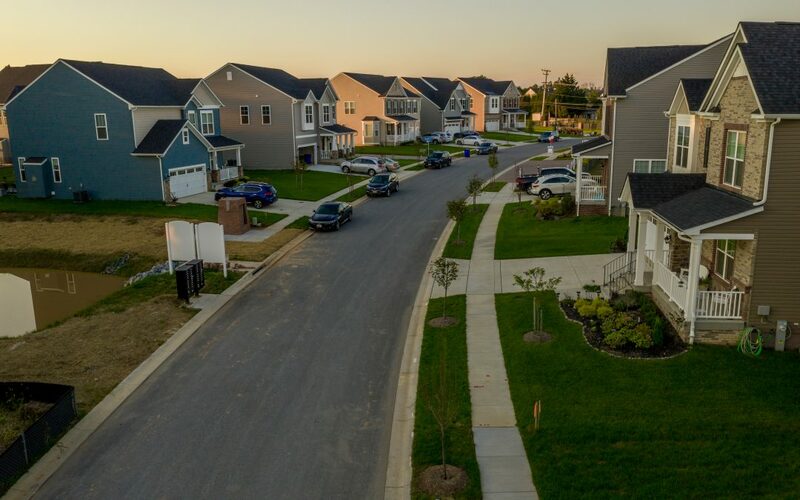 If you’re looking to settle down away from the hustle and bustle of the big city and the midwest is an area you’re looking at, you may want to consider this quiet little neighborhood. Finding a home is difficult, and you may not find your dream house right away. But if you’re looking for a home, you may be lucky enough to find one that just right for you. Check out new neighborhoods, or even towns, and you may be surprised by what’s out there! What Are The Fastest Growing Metro Areas In The U.S.? With and increasing number of job, recreational, and housing opportunities out there, people are finding more suitable places for them to work and settle down. Some of these places are up-and-coming, and don’t necessarily have the same kind of mass appeal that cities like New York or Boston do. But each place on 2017’s list of fastest growing metro areas in the United States has a lot to offer and clearly caters to specific groups of people and their needs, whether it be millennials looking to buy their first home, families looking for a change of pace, or folks who are looking for new job opportunities. 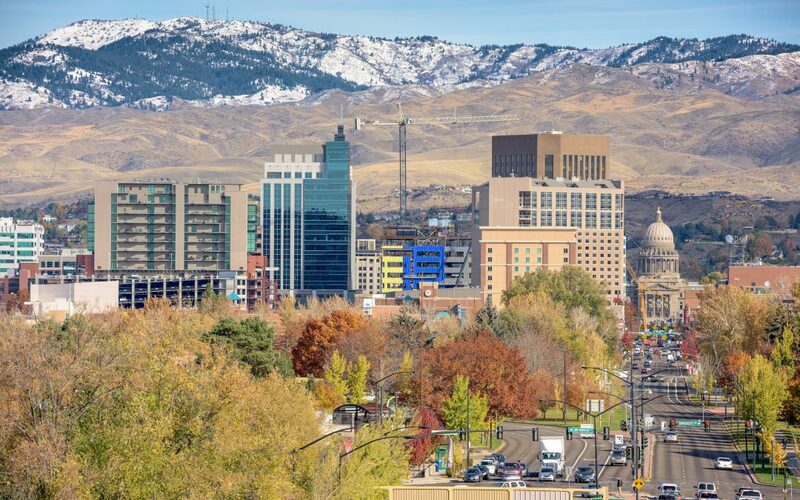 Boise, Idaho, has made its way all the way up to number one on this list of the fastest-growing metro areas in the U.S. In 2017, Boise’s population grew at a whopping rate of 3.08 percent. To match the growing population, jobs also increased at the rate of 3.58 percent last year, and it looks as if it will continue increasing, albeit more modestly. It also seems that Boise has been benefiting from tech dislocation: companies who are getting priced out of places like San Francisco are looking for more affordable alternatives. This city is also considered to be very family friendly, so it has become very popular with families, especially those with young children! The population of Seattle, Washington, increased at a rate of 1.97 percent in the past year — not an insignificant amount, though not as much as Boise’s population. This is also a city that has seen the amount of jobs grow at a rate of 2.62 percent last year. The city benefits from being located between two bodies of water, which prevent the area from becoming too hot or too cold. Winters in this city can be very wet and rainy, but the summers are warm. Seattle is also close to the Canadian border, so it is relatively easy to take day trips to our neighbor to the north. Dallas, Texas has been known to attract both domestic and international migrants and 2017’s influx of people caused the metro area’s population to grow at the rate of 1.79 percent. Job growth kept up the pace with the area’s population growth at the rate of 3.23 percent the same year. Furthermore, many companies are making Dallas their home, so there are plenty of opportunities to find a job that isn’t far from home. Like the previous cities on this list, Orlando’s population and job opportunities grew: the population grew at a rate of 2.41 percent last year. Orlando’s professional, scientific and technology positions grew 8.2 percent during the same time period. Orlando is a place that is considered to have a lot of potential: not only is it great for adults, but is also a great city for children (theme parks like Walt Disney World provide endless entertainment). It is also home to several tech and automobile companies. The area also attracts a large number of retirees who decide to settle there every year. Other areas included on the list of the fastest-growing metro areas in the United States include the Fort Worth, Las Vegas, and Nashville Metropolitan Statistical areas. What Should I Consider Before Buying A House In An Unfamiliar Neighborhood? Relocating to a new neighborhood basically means marching into uncharted territory, so why would you rush? Take the time to cover all the bases in your research. If you also consider taking the following steps, you may feel better and less nervous about the big move. Given the fact that there’s more to a neighborhood than meets the eye, you shouldn’t assume anything about the area based on its appearance. As a prospective home buyer, you should err on the side of caution. There’s only one real way to get a good picture of how safe a neighborhood: visiting the local police station and talking to law enforcement agents and neighborhood watch members may provide some comfort or shed light on an issue not previously known. You may be able to find reports on crime rates to assess whether or not you’re moving into a danger zone or a family-friendly oasis. Getting to work on time or ahead of schedule is going to be challenging if you have to maneuver your car through traffic jams and around potholes and other obstacles. With that in mind, you should also focus on the new commute time and related expectations. The closer the neighborhood is to your job site, the better! But did you know that the monotony of sitting behind the wheel can increase your risk of developing serious health problems like depression? Fortunately, using public transportation is an excellent alternative, as long as it’s accessible from your new home. Walk around your new neighborhood to get an idea of distance and the time commitment when commuting with public transportation. Remember: each time you leave your car in the garage, you’re helping protect the environment because your car isn’t adding to the pollution problem. Unless you have no alternative, it’s likely that you’re moving into the new neighborhood because you approve of it in one way or another. If however, some of these favorite features disappear or undergo a series of changes, chances are you’re going to be disappointed and possibly also quite puzzled. Therefore, it’s advisable that you try and learn about what adjustments are currently anticipated and/or likely to come down the proverbial pike. Will the nearby park get the axe next year? Are high-end stores coming to the area? Is the town going to be redistricted? With the answers to such questions, you’re bound to be in a better position to weigh the neighborhood’s pros and cons. If you’re seeking serenity, do you really want to live in proximity to a school? Perhaps you should prioritize such neighborhoods if you have school-aged kids. After all, the goal for you should be to find a neighborhood that suits your family’s needs. But be sure to explore the area at different times of day to get a good and realistic feel for the area, noise and activity included. Finding places to relax outside your home may be important you, whether it’s going to a nice restaurant, a concert, or a spa. Evaluate the neighborhood’s entertainment scene before your move. Start by asking several local residents for their opinions. Then, look at the venues that are nearby or in the surrounding area. Are there museums and health clinics, or nightclubs and bars? If you see the venues that you love to visit, you’re bound to feel more at home when you finally relocate. If you believe that you’ve found the perfect house in the right neighborhood, you should dig below the surface to see if your belief is reasonably accurate. Use NeighborWho to check out information about both the neighborhood and the house you plan on living in. You may discover some pleasant surprises, or even off-putting details. Talk to the current homeowners, and be sure to ask about pest infestation problems, recurring nuisances, and contentious neighbors. If you like the responses that you get, you’ll likely be able to settle down in your new home with confidence. Why Should Air Quality Be A Factor When Choosing A New Neighborhood? 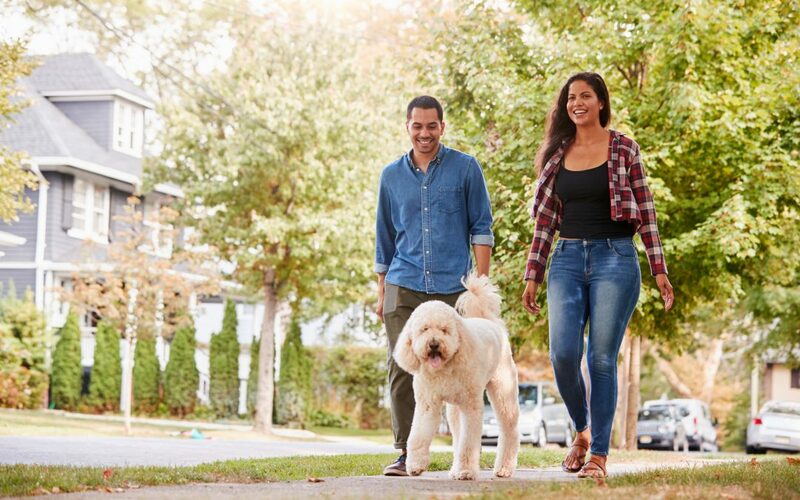 When picking a new place to live, there are a number of factors to consider before deciding that a place is the right one for you. Of course, you may have already thought about how efficient the public transportation is in this new neighborhood, how close your favorite amenities are, and if there are parks, schools, and public libraries close by. You may have made a list of all the most important factors, but you may be forgetting one crucial one: air quality. 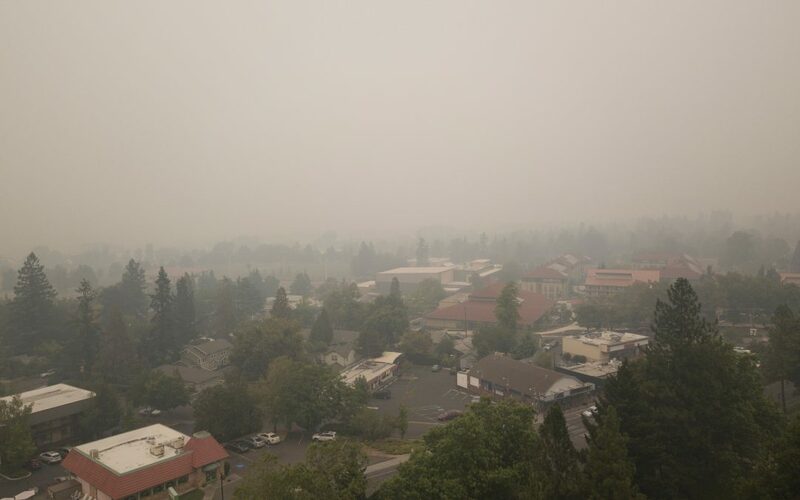 You may be asking: why should air quality be a factor when choosing a new neighborhood? Of course, it may be obvious: you want you and your family to breathe clean, fresh air. You may even be considering moving to the suburbs to ensure that you’re breathing in the least amount of pollution possible. But whether you’re moving to a new neighborhood in the city, in the suburbs, or in the countryside, air quality matters. Suffering from allergies or asthma? Millions of people suffer from respiratory ailments or illnesses such as asthma, and even more people suffer from seasonal allergies. Regardless of the severity of your breathing issues, research or measure the quality of the air in several areas in your new potential neighborhood: you may uncover surprisingly high pollen levels, for example, or a high number of car and trucks that pass by that may affect your breathing. You may also want to check the air quality inside your new home before you move in. Based on your findings, you may want to invest in tools like a humidifier or an air purifier to make it a healthier place. This may severely affect your breathing and the quality of the air you breathe. Continuous exposure to exhaust can cause shortness of breath, bronchitis symptoms, and other negative health outcomes, especially in the very young and the elderly. But air quality affects more than just the air. Of course, the air affects your breathing and, overall, your health. But it can contribute to the good or bad health of everything else around you: if you eat locally, the pollutants in the air can contaminate the soil in which your food grows. Additionally, you may be drinking water contaminated by air pollutants, or you may be touching similarly affected soil and dust. While one person may not be able to control the air quality in their area, a collective effort can make a sizeable difference in the long run. There are many ways you and your neighbors can help improve air quality, too: use public transportation or carpool, conserve energy by turning off lights, computers, and electric appliances when not in use, and use energy efficient light bulbs and appliances. These are just a few ways you can take immediate action — and there are so many more!